23 piece set. 3/8-Inch drive. 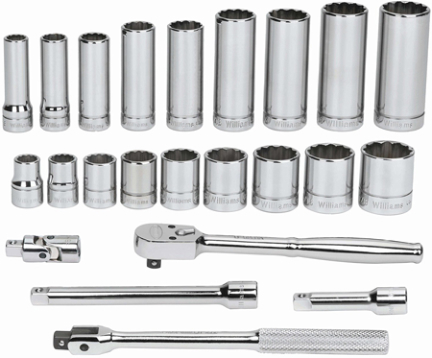 Professional quality, made of high grade chrome vanadium steel. Sockets feature super torque lobular openings for greater turning power without deforming the fastener. Toolbox included.